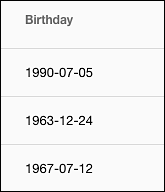 Dates are an important part of managing user profiles. For example, you’ll often want to know the date that a profile was created. You’ll want to know the date when a user first logged on, or maybe the date when the user last user logged on. You’ll want to know when (if) an account was deactivated; you’ll want to – well, again, you get the idea. 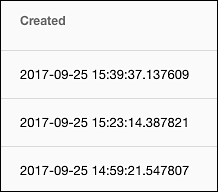 Fortunately, the Console makes it easy to search for user profiles based on the date when something (a log on, a profile update, a birthday) took place. 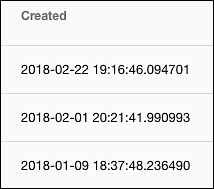 In fact, the only potentially-confusing thing when it comes to searching for dates is the fact that the Console employs two different date-related attributes: date attributes and datetime attributes. 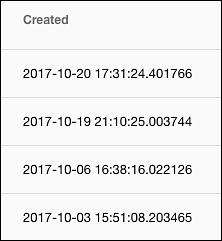 A datetime attribute is an attribute that contains both a date and a time; for example, October 18, 2017, 11:35 AM. 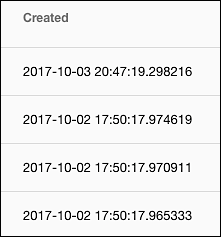 By comparison, a date attribute contains only the date: October 18, 2017. The Identity Cloud user schema includes attributes of both types, and while there’s no real difference between the two (at least when it comes to searching for user profiles), it’s useful to understand exactly what you’re dealing with. Year. Years must be specified using 4 digits. Month. The leading zero is optional. For example, you can specify September as 09 or as 9. Day. Similar to the month, the leading zero is optional. Hour. Hours are displayed using a 24-hour clock: hour 17 refers to 5:00 PM, and hour 5 refers to 5:00 AM. 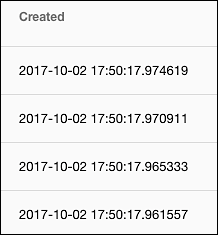 In addition, displayed times represent UTC (Coordinated Universal Time) time instead of local time. For example, in the 24-hour format, 15:39 converts to 3:39 PM UTC time. If a user logged on at 15:39 UTC time, that means that the user logged on at 3:39 PM in Greenwich, England. 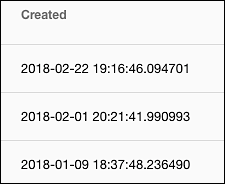 Meanwhile, Portland, OR is 7 hours behind UTC time: to determine the local time when an action took place, a Portland area admin must subtract 7 hours from the time displayed in the Console. In this case, 15:39 – 7 hours equals 8:39, meaning that the local time for the logon was 8:39 AM Portland time. Minute. Leading zeros are not optional when it comes to minutes: that’s because 14:02 and 14:2 (which would be interpreted as 14:20) are not the same. Second. Leading zeroes are also required when dealing with seconds. Could it get easier? Well, maybe. But we’re not sure how. Good question: what about date ranges? For example, can we search for all the accounts created in the year 2017 or earlier? Or what about all the accounts created in February 2018? Can we do more than just find accounts created on a specific day? Again, you have some flexibility here to search for dates in the way that seems the easiest and most intuitive to you.